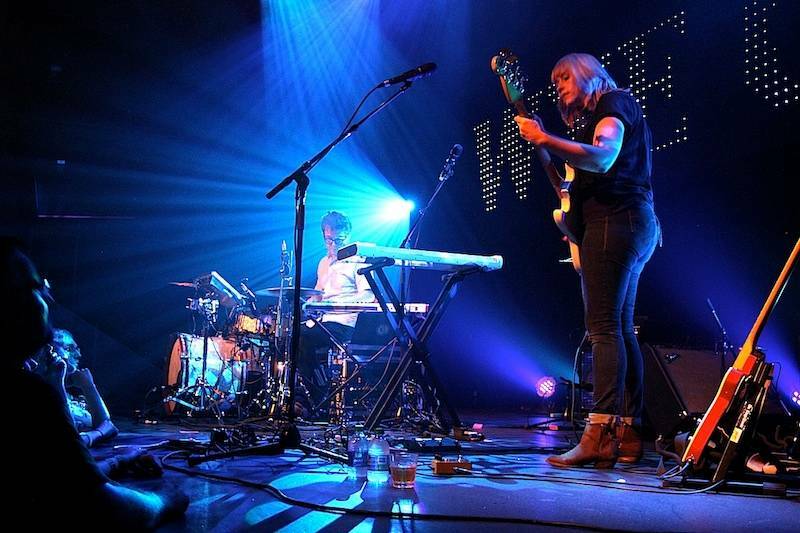 Wye Oak at Venue, Vancouver, July 16 2014. Robyn Hanson photo. 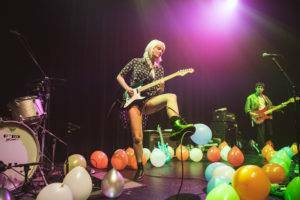 If you have Googled Baltimore, Maryland duo Wye Oak since their Vancouver performance at Venue this past Wednesday, your search may have produced some unusual results. You’d be forgiven for thinking that the pair was on tour to promote a popular deep-fried junk food and not this spring’s LP release, Shriek. That’s because, aside from their musical talents, Jenn Wasner and Andy Stack possess another admirable quality: a sense of humour. In fact, Wasner grinned through much of their set, as if engaged in a private joke with herself. The playfulness took on a more inclusive approach midway through the night when the singer/guitarist laughingly informed the audience of the band’s online poll. Apparently they had solicited their fans to decide the best use of Venue’s ostentatious stage lighting. Up until this point the electronic sign behind the stage had spelled out the band’s name in twinkling lights for most of the night. 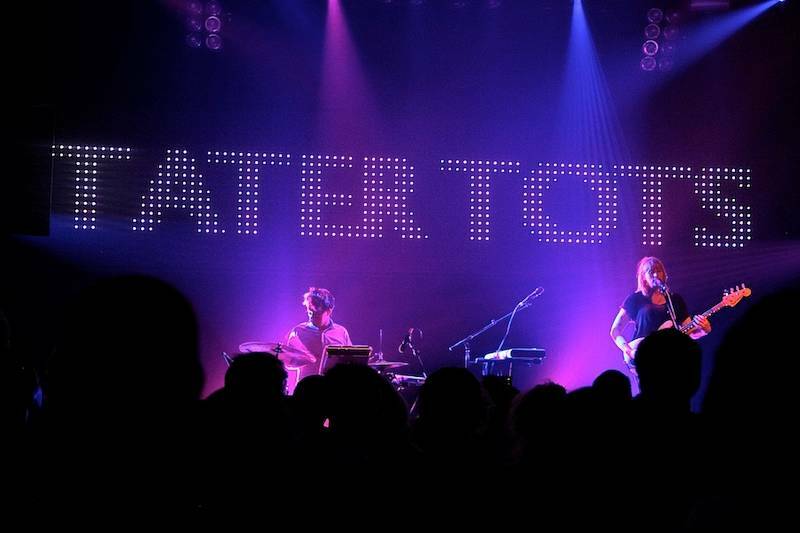 On Wasner’s cue, and to the delight of the crowd, the letters shifted to spell out TATER TOTS. “This is pretty much the best thing that has happened to me,” Wasner giggled, and urged us to document and share the moment on the Internet. 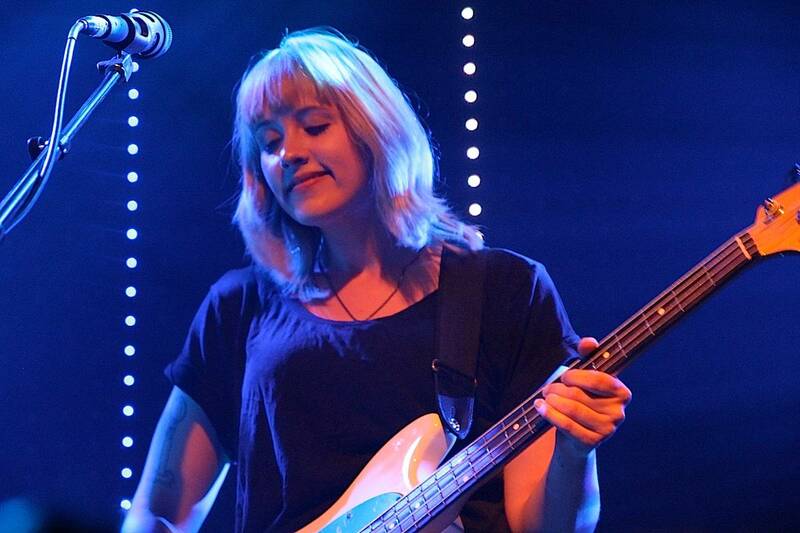 All joking aside, there was nothing particularly silly or laughable about Wye Oak’s performance. The duo demonstrated their versatility for a 90-minute set that alternated between tracks off of Shriek and older material, including several standout numbers from their previous release, 2011’s Civilian. For all except one number, Stack remained sequestered behind his drum kit, but with his synthesizer and keyboard within arm’s reach. He performed with the same self-conscious air and concentration required when simultaneously patting your head and rubbing your stomach. More impressively though, Stack instead used his right hand to hopscotch a drumstick over his kit while playing the keyboard with his left at the same time. 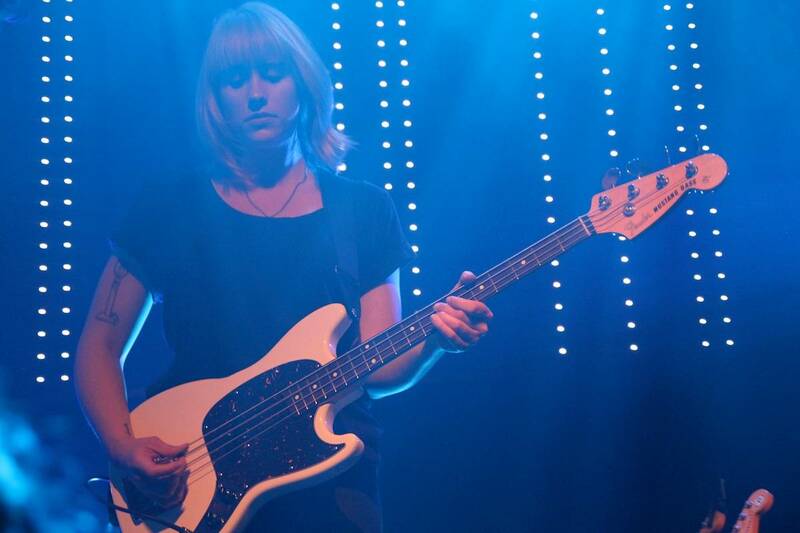 The most audible and visible difference between Wye Oak’s newest and their previous incarnations would be Wasner’s switch from guitar to bass, which she learned for the recording of Shriek. 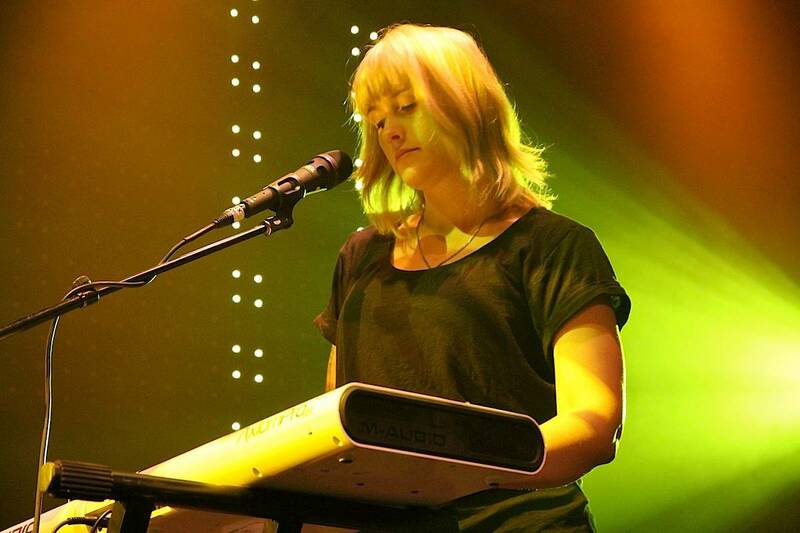 The young blonde swapped the two instruments with the same ease that she shifted her vocals between a clear falsetto and husky lower pitches. Although consistent in vocal style between the older and newer material, the simple change of instrument was at the helm for a decidedly groovier and sexier sound. 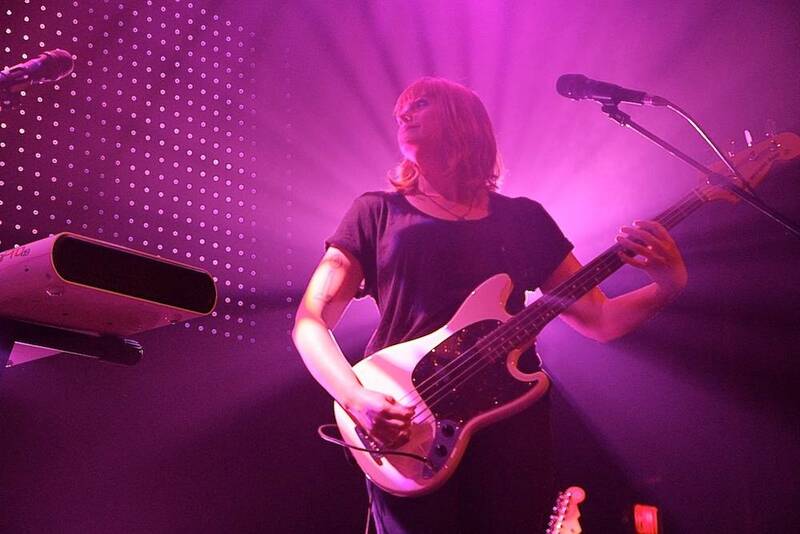 Wasner’s attitude and stage persona also subtly channeled this shift, depending on the instrument in her hand, and she jutted and bobbed her head along with her bass line. Although the young crowd was receptive overall, they reserved the biggest responses for the edgier, guitar-driven songs, like Civilian’s title track or “Holy Holy” off of the same album. About two-thirds into their set Wasner confessed that she and Stack were feeling the tolls of their tour and that the black T-shirt she was wearing was the same one she had slept in the night before. Nonetheless, the pair played another two songs and returned to the stage for an encore that included a cover of Kate Bush’s “Running Up That Hill”. TATER TOTS also joined them for a portion of their encore. “I’m sorry if we seem a little goofy,” Wasner apologized then added, “…we are.” There is little evidence to dispute that – just ask the Internet. 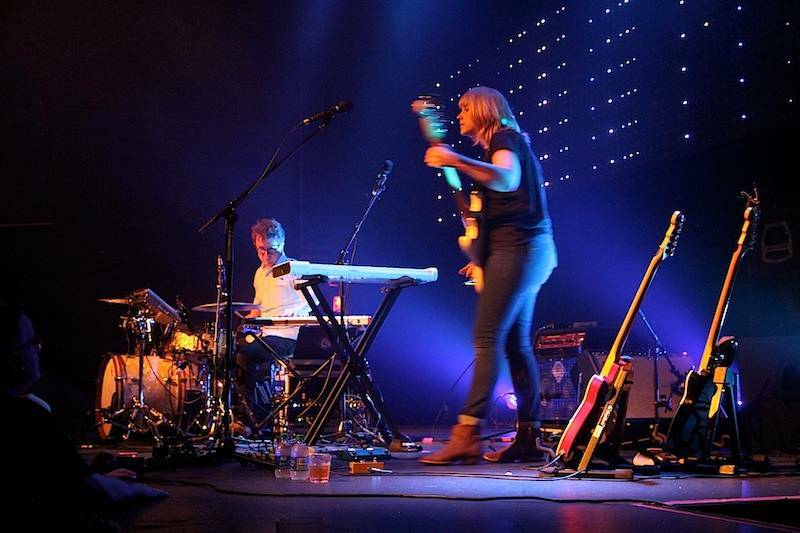 This entry was posted in concert reviews and tagged indie-rock, Vancouver concert photos, Vancouver concert reviews, Vancouver concerts, Venue Vancouver, Wye Oak. Bookmark the permalink.